Born in Windsor to a Scottish father and an English mother, Allie's eclectic musical upbringing exposed her to a wide range of musical styles, particularly classical music and jazz vocalists such as Ella Fitzgerald, Peggy Lee and Nat King Cole. At the age of 11, inspired by the folk boom of the 60’s and her discovery of country blues, she took up the acoustic guitar and taught herself how to play finger-picking blues. Heavily influenced by American blues and soul music and folk songwriters such as Bob Dylan, Leonard Cohen and Joni Mitchell, Allie was writing and performing her own songs by the age of 13. Her picking style - mainly in open guitar tunings - owes much to her early passion for the music of guitar luminaries John Fahey, Leo Kottke and Robbie Basho. Other key influences during that period include Stefan Grossman, Rory Block, John Renbourn, Bert Jansch & many of the great blues guitar legends such as Mississippi John Hurt, Rev Gary Davis and Big Bill Broonzy. Allie has been performing professionally and semi-professionally in venues and festivals throughout Britain for over 30 years. In the 70’s and 80’s she performed as a solo singer-songwriter on the folk club and arts centre circuit, mainly in the South-East, guesting in established venues such as the famous Troubadour in London. For a while she sang in the acapella group Grendel’s Ring, whose claim to fame was singing at the Young Tradition farewell concert at Cecil Sharp House. During this period Allie was also active as a session musician, including performing on Mary Asquith’s album 'Closing Time' which was voted Best New Folk Album of the Year by Melody Maker. In 1979, Allie formed her own electric folk-rock band called Vixen, successfully touring colleges and Arts Centres. In 1982, she joined up with fiddle and mandolin player Dave Thomas, performing in folk clubs throughout Britain. 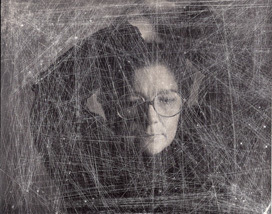 In 1985 – in between working as a solo act and running a bookshop - Allie formed a band with Dave Thomas, featuring Roger Watson (melodeon), George Ricci (soprano & tenor saxophone, trombone), Adrian Hocking (fretless bass), and Kent Davis (drums), writing and playing a fusion of American folk and jazz. The band gigged on the club and college circuit, including supporting The Albion Band. After moving to Birmingham in the late 80's, Allie concentrated more on her teaching work (guitar and singing) and voice workshops. She continued to perform in clubs and Festivals in the Midlands, and was regularly featured on BBC Radio Shropshire, BBC Radio Hereford & Worcester, and BBC Radio Stoke. She also ran and hosted The Lamp, a popular music venue in the heart of Birmingham. Since moving to Scotland in 1993, Allie has built up a successful teaching practise and has become well-known for her music workshops – both for people who believe they can't sing and for people with special needs. Allie has always enjoyed bringing people together through music and over the years has launched several successful live music venues, including the current String Jam Club in Galashiels which is now in its 11th year. In 1994, a meeting with Edinburgh record producer Iain McKinna of Offbeat Scotland sowed the seeds of a creative and fruitful working partnership, and they agreed to collaborate on Allie’s debut album 'Diving for Pearls.' It was five years before recording finally commenced in Edinburgh in 1999 and the album went on general release in October 2000 on Allie’s own label, Vixen Records, securing an exclusive distribution deal with Koch International. Allie's guitar partners over recent years have included John Rutherford (Incredible String Band), jazz and blues guitarist Neil Warden (Tam White/Celtic Groove Connection) and Fish lead guitarist Frank Usher with whom she went on to form Borders folk-rock super-group Eclectic Shock. In between her own composing and musical activities, Allie also runs the music agency Foxy Music as well as fox & fox music international promoting the classical music of her late brother, Malcolm Fox, who died in 1997. Allie is currently nearing completion of her second album, 'Wayland's Blues', which is due for release late 2009. With her regular producer Iain McKInna - now a Classical Brit Album of the Year Award Winner 2009 for 'Spirit of the Glen: Journey' - 'Wayland's Blues' has been long in the making. Started in 2003, this is a purely instrumental album, featuring eleven tracks of original tunes and classic blues covers for acoustic guitar, a vibrant mixture of American, Celtic and classical ingredients. Allie's intricate guitar layers are blended with evocative arrangements for slide guitar (Rod Clements), harmonica (Fraser Speirs), acoustic steel-strung guitar (Frank Usher), nylon-strung acoustic guitar (Neil Warden), cello (Ron Shaw), viola (Ben Ivitsky), banjo (Pat McGarvey), pedal steel guitar (John Wardell), bass (Gavin Dickie), drums (Dave Haswell) and percussion (Iain McKinna).